Jack Carroll is a stand-up comedian, writer and actor. 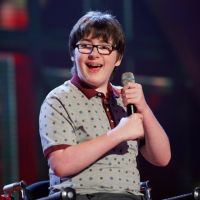 Jack became an overnight stand-up sensation after reaching the final of Britain’s Got Talent in 2013. His first audition on the ITV show has received over 12 million views on YouTube so far. Jack eventually came second on the show at just 14 years old and has since worked with the likes of Jason Manford and Vic Reeves, while also performing stand-up on shows such as ITV1’s Sunday Night At The Palladium and It’s Been A Funny Old Week. He’s also appeared on CBBC shows such as The Dog Ate My Homework and 4 O’Clock Club. Jack, whose cerebral palsy is often the subject of his act, was awarded a Pride of Britain Award in 2012 in the “Teenager of Courage” category. Jack opened for Jason Manford at three of his tour shows in 2010 as well as performing with him in 2013, opening Jason’s tour show First World Problems at London’s Hammersmith Apollo. Jack has performed at various clubs and live events across the country, cementing his place on the national comedy circuit. Summer 2016 saw Jack perform as part of the Pleasance Comedy Reserve, his debut appearances at the Edinburgh Fringe. As well as being as a stand-up comedian, Jack has firmly established his talents in acting, securing roles in CBBC’s Ministry of Curious Stuff, BBC1’s Big School, and Sky’s critically-acclaimed sitcom Trollied. Other television credits include CBBC’s Sam & Mark’s Big Friday Wind Up, ITV’s This Morning and BBC1’s The One Show.